November is an odd month. Sure, it’s got Thanksgiving, but December doesn’t really give it a chance. In fact, I often refer to November as “Pre-Christmas.” The stores put out their decorations earlier every year, the radio blasts holiday tunes, and everyone is just…Christmas-y. But here at Planet Stereo, we want to give November a fair shot! Which is why we’ve scooped up the best tunes this month. Check out your November Must Hear List below and let us know what you think we have to hear in the comments! “On My Way” is a fantastic new track from Cardiknox, who are equally as awesome. The vocals are wonderful, and as the music builds throughout the song, there’s an explosion of kinetic energy. Put this on and I guarantee you’ll need to dance…even if you can’t really. Melodic, catchy, and makes me want to learn how to play it on the cups…Hmmm…AJR with yet another hit that is guaranteed to be on the radio for a while. If “Let The Games Begin” doesn’t pump you up even a little bit, I fear for you. Can I just say how thrilled I am that Good Charlotte is back? Seriously, this band is magical. When “Makeshift Love” debuted, I was filled with happiness. It’s catchy as all Hell, and the music video is wonderful– it features cameos from producer John Feldmann and Mikey Way, and also features a product called Break App. Amazing. #WelcomeBackGC #pleaseneverleaveagain. Something very different from AAR, and it’s a welcome change. This reminds me so much of some of the tracks from Move Along, just with a more indie sound to it. “There’s a Place” is beautifully put together, and is such a sing-a-long. When there’s something about a song that you can’t fully explain, but you love, you know it’s something special. For me, I honestly think it comes down to the heartfelt lyrics and Sewell’s incredible vocal performance, but I find myself hitting the replay button on this constantly. Okay, so As It Is can do no wrong anyway, but this is just wonderful. The video makes me want to go to the beach so badly, you have no idea. Add on top that the song is energetic and showcases clever lyrics (once again). Let’s just say that you have to hear every As It Is song and call it a day? Not only is the song brilliant, but the video is a complete Inception moment. I cannot say anymore. You just need to watch and listen. All hail the Queen! If you weren’t already obsessed, Adele’s new live version of “When We Were Young” will get you there. It’s only when you hear her perform acoustically that you realize just how talented this lady is…and always has been. Haunting vocals, amazing music, and just an overall entrancing feel to it. This is something I can imagine being played all over the place, and rightly so! Again, you can never go wrong with a good acoustic. Secret Someones is pure proof of that. The vocals are perfection, and just the softness of the music is completely mesmerizing. This is such a…badass version of this song. There is literally no other way I can describe it. It’s full of energy and has a flare of style to it that is irresistible. I’m going to be honest, Flyleaf was part of the compilation CDs that made up my formative teen years. So when I heard that former Flyleaf front woman Lacey Sturm was making her return to music as a solo artist, I admit, I was hesitant. But then I heard “Impossible,” from her debut solo album, Life Screams. The track is bold, and has a more hopeful vibe to it. I am completely entranced by this group. Come Wind is just a ridiculously talented band, and “Clarity” is a song that stands out beautifully. 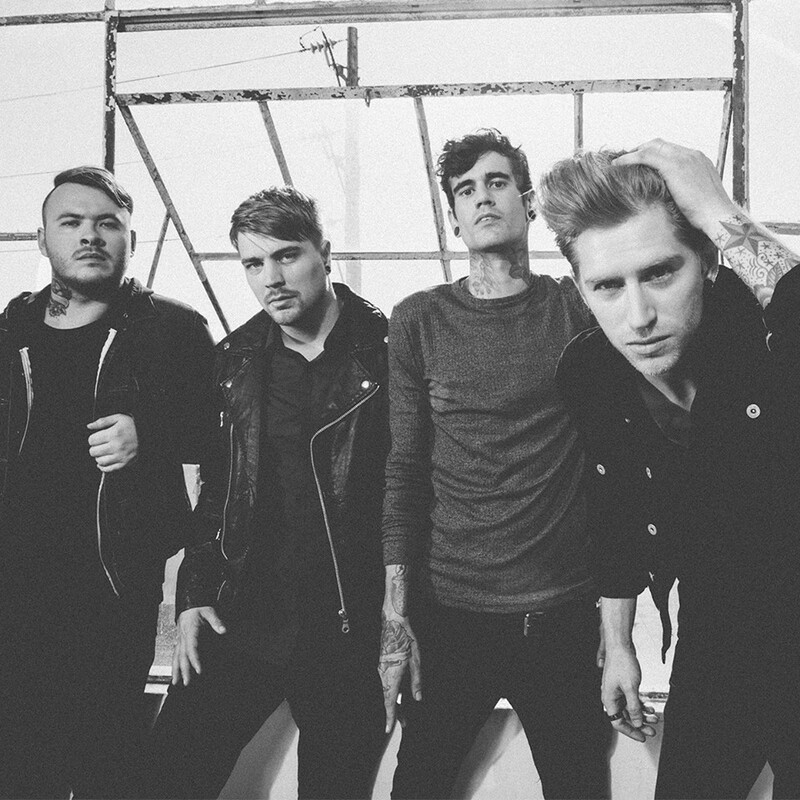 It’s like AFI meets Lydia. Just, yes. The Emo Kid from my youth rejoices every time she hears this song. Yet another awesome new single from P! @TD’s upcoming Death of a Bachelor album. If you haven’t pre-ordered yet, this song will make you need to! September…Otherwise known as “The Month Before Halloween,” or “The Beginning of Pumpkin Spice Latte Season.” Whatever you call it, September churned out some amazing new music. From the new 007 theme song to Ryan Adams covering Taylor Swift’s 1989 in its entirety, this month has been an interesting one in the world of music. Check it out! Looking for a tune to make you smile? This is it. It’s got this adorable sound, but a very triumphant spirit. This is the kind of song that makes you want go on a drive and sing loudly. It’s what you should be dancing around your room to this, singing into a hairbrush, using chopsticks as drumsticks, or playing air guitar to, no matter who you are. Plus, the video is epic. Jasmine Jordan has a beautiful voice, and with passionate storytelling, “Smile” is a breath of fresh air. I love the jazzy instrumentals. The track reminds me of Corrinne Bailey Rae, if I’m honest. Just wow. “Die Trying” is a hauntingly beautiful song, and the video’s post-apocolyptic theme just adds to how memorable it is. Jule Vera is poised for massive success. Michael Jayson’s piano-driven single, “Through Your Eyes,” is full of rich instrumentals with cinematic quality, and some stellar bass. It also features wonderful lyrics and an upbeat tone, resulting in an infectious optimism that provides a whisper of encouragement. The first official release from the band since they announced that they’d signed with Epitaph Records, and it’s glorious. Bonus points for Kellin Quinn joining in. Seriously, if you haven’t already been in love with Avion Roe for a while, you will be now. This track is so amazing and incredibly catchy. I have to say that I was completely floored by Marianas Trench when I heard “One Love.” It’s emotional, vibrant, and rich in instrumentals…as well as flawless vocals. I just keep playing this on repeat, and I recommend you do the same! This infectious new electro-pop single is infectious, and the music video is incredible. Referencing some of the great love scenes/movies from great films, Todrick Hall just proves time and time again why he won the Internet…and theater…and television…and, oh, hell, the world. Sia’s incredible vocals make me happy. She has this quiet power about her that is just awe-inspiring, especially on an underdog anthem like “Alive.” Considering National Suicide Awareness Week and International Suicide Prevention Day all fall in September, I feel like the release of this track had A+ timing. CAPPA and REMMI, along with producer Foldy, collaborated on a mash-up of the pair’s two tracks, “Killin It” and “Star Spangled.” The mash-up is incredible and a total ear-worm! The two songs flow so nicely together, it’s almost difficult to imagine why they’d ever be apart! So I stumbled across this gem on Soundcloud, and there is no going back. Not only is it instrumentally stunning, but it builds and just has this gorgeous sound that beautifully showcases some well executed vocals. Honestly, this song should be all over the radio. Talk about catchy as hell. I love a good remix as much as the next person, and this is a damn good remix, and I already liked Alessia Cara’s tongue-in-cheek track. Of all the sing-along tunes of September 2015, this is a major one, especially on a day when you’re feeling particularly badass. The multi-talented group that is Fairground Saints have already proved how epically talented they are (time and time again), but this single will remind you. You know, just in case you momentarily forgot. Ellie Goulding’s new sound is strangely entrancing. There’s something about “On My Mind” that just pulls you in and has you kind of bobbing and singing along. Plus, the video is gold. Who wouldn’t want to ride a horse into a building like a badass? The new 007 Spectre theme song we’ve all been waiting for by the magnificent human being that is Sam Smith. Seriously, if his vocals don’t make you melt, you are made of stone. Anyway, the new theme song is beautifully cinematic, if not utterly haunting, so you need to check it out. The single is a sports-worthy anthem. If you’re looking for a clever #winning song, Brendon Urie has done it once again and answered your prayers. In typical Panic! At The Disco fashion, “Victorious” is theatrical, catchy, and just awesome. 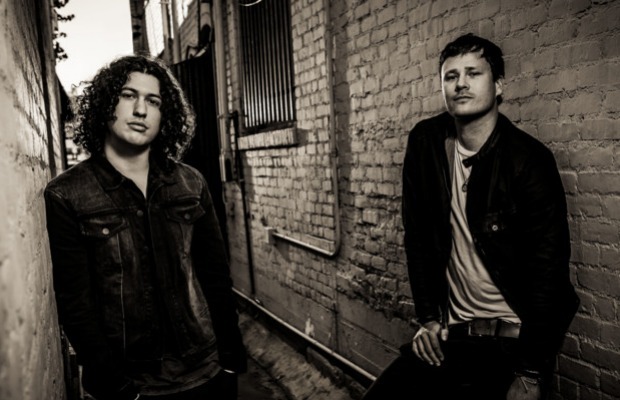 Angels & Airwaves partnered with Billboard to premiere the second single, “Home,” from their upcoming EP. The track can be streamed below. The band’s upcoming EP will be accompanied by DeLonge’s Poet Anderson…Of Nightmares, his new book due out on October 6th via Simon & Schuster. You can pre-order the book now. Back-to-school is a crazy busy time, and we know a ton of you are headed back this Monday. So welcome back early mornings, long classes, and, of course, homework. Don’t worry, we’ve got the perfect playlist to get you pumped up for your first day back…and maybe even as a soundtrack for your first walk back down the hall. Check it out below! It is official. Summer is here! So while we’re all soaking up the sun, making summer playlists, and maybe attending a festival (…or two…), Planet Stereo has rounded up 15 songs from June that you have to hear while the summer heat rages on! It’s hard to say there’s only one song from American Candy that you need to hear, because the album is fantastic. But the band’s music video to go along with “English Girls” is nothing short of wonderful, and makes the song even better. New music from PTV! Finally! “The Divine Zero” is the perfect Warped Tour theme, which works, because they’re on Warped. If you have the chance, catch them live. They’re ridiculously memorable! Bayside’s Anthony Raneri just adds another reason to love 2015 musically. More artists coming forth as solo artists (on the side, of course), and it’s fabulous. Add on how awesome the video for “Sorry State of Mind” is, and you can’t really go wrong! If there’s one band you have to see live, especially playing this song, it’s The Technicolors. There’s something so edgy and effortlessly cool about The Technicolors as a whole, but “Tonight You Are Mine” just seems to push that idea one step further. The accompanying video is visually stunning, and a must-see, as far as I’m concerned. August Burns Red is joined by A Day To Remember’s Jeremy McKinnon for “Ghosts.” The track features some amazing guitar work, and a back and forth voice-off between Luhr and McKinnon, which is definitely enjoyable. ADTR/ABR tour anyone? This is the kind of song I can just imagine being a hit live…especially in an amphitheater. “Vice Grip” just radiates power. Once again, The Wonder Years prove how amazing they are. “Cardinals” is a powerful track to begin with, and the video just adds to it. Send it to a friend if you’ve not been great recently. A catchy as hell punk track. If you’re looking for a song to revive the angsty, punk-loving teenager that resides in all of us, this could be the song to do it. Quirky, painting a colorful picture with vivid, illustrative lyrics, and fantastic instrumentals. I could just play this again and again. It’s awesome, and it’s a commentary on stereotypes, in my opinion. One of the best videos I have seen in a very long time. It is beautifully shot, and Marina Kazankova (the girl in the video) does an incredible job. When fans commented on the video, which was filmed in ONE take, at how long she could hold her breath, the band sang her praises, commenting on how she could actually hold her breath for upwards of six minutes! Disturbed are back from their four-year hiatus with a new song, “The Vengeful One,” and the accompanying animated video from award-winning filmmaker Phil Mucci. It’s hard to ignore. This is the first new song the band have released in six years! And it is IN YOUR FACE, in a great way. Parts loud and chaotic and part melodic, it’s an intriguing listen. A protest song without being obnoxious. In protest to the tragedy that occurred in Charleston, the band wrote and recorded this song, “All Good People,” as a means of expressing their “outrage, sadness, and insistence that things must change.” It is extremely powerful. All I can say is: Just look at the video. This song is a total ear worm! Alesana’s Shane Crump shows that he’s just as talented as a singer as he is a bass player. “I’m a Mess” is such an amazing track, and yes, that is Sierra Kusterbeck in the video with him. It would be very easy to say that the month of May has been manic…and with good reason. Thankfully, that craziness also means some great new music! Below, check out 15 tracks from this month that you have to hear. The short, slow track is beautiful…and somewhat soothing to listen to. In fact, the more I listen to it, the prettier the song seems. It definitely has a cinematic effect to it that just paints vivid pictures in my mind, all in shades of blue. You can’t go wrong with a Taking Back Sunday track, even when the subject is as melancholy as the disintegration of a relationship. The video is brilliant, but it’s the raw emotion behind the song itself that make it stand out as a great addition to Taking Back Sunday’s extensive discography. Neck Deep have mastered pop-punk storytelling, and it’s wonderful. In some ways, this reminds me of All Time Low circa So Wrong It’s Right. It’s definitely worth the listen! Twin Shadow’s new single is a striking listen anyway, but the black and white video, directed by Lance Drake, features Twin Shadow stepping up to a superhero role, facing off against his enemies in an attempt to save the city…and it’s AWESOME. Broken bones? More like springs in your legs that make you want to jump around. 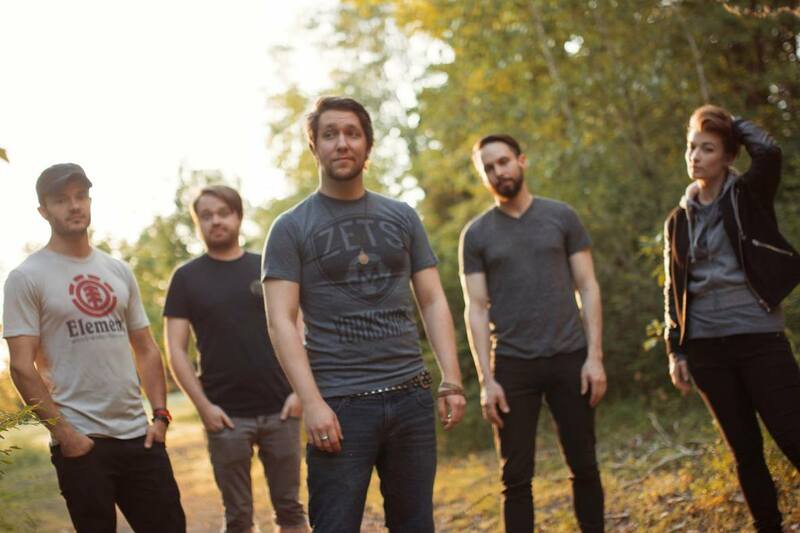 A Promise To Burn have managed to change up their style and put forth a refreshing single that still rings true to their overall sound. Super-producer Sterling Fox has crafted an edgy/retro sound (might I add with some stellar vocals) that leaves me completely entranced. “Freak Caroline” gets better with every repeat. The video is a beautiful visual to accompany the stunning track, filled with beautiful harmonies, lyrics that read like poetry, the love song is framed by melodic piano. It is perfect. Every piece of it is cinematic and simple all at once, if that makes any sense. It is quite possibly one of the best tracks I’ve heard so far in 2015. The Color Morale have crafted an anthemic sound on “Between You & Eye.” I can almost see this on the soundtrack for a superhero movie, and god knows there’s enough of those going around! Taylor Swift just released the star-studded video for her single, “Bad Blood,” from her hit album, 1989. The video isn’t quite as in-depth as I thought, but it’s still full of some cool appearances, and the song is ridiculously catchy! I am so glad that Silverchair frontman Daniel Johns has released new music. In fact, “Cool On Fire,” is the perfect new release just because of how it sounds both modern and reminiscent of the 90’s all at once. It’s brilliant and full of such great beats. This is Rachel Potter’s way of standing up for the people that the Baptist Church (which she grew up in) discriminated against. It’s a quirky song and video, and will not soon be forgotten! New music from Leona Lewis, and, believe us, it’s catchy as anything and has this really amped up sound to it. I could play this a million times and not get tired of it. With an interesting title, you don’t really want to skip out on this track. It’s got a very…strange sound. My opinion on it changes every day. Some days, I really like it. Other days, I’m not so sure. Just give it a try. 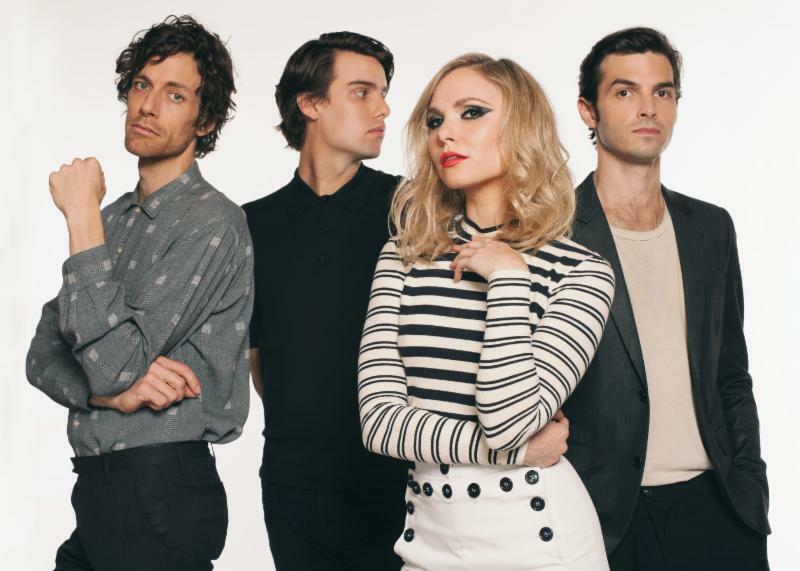 A new single from This Century, finally following up to their debut. Featuring plenty of falsetto, pop-anthem flare, and big, sing-along choruses, the single was definitely worth the wait! 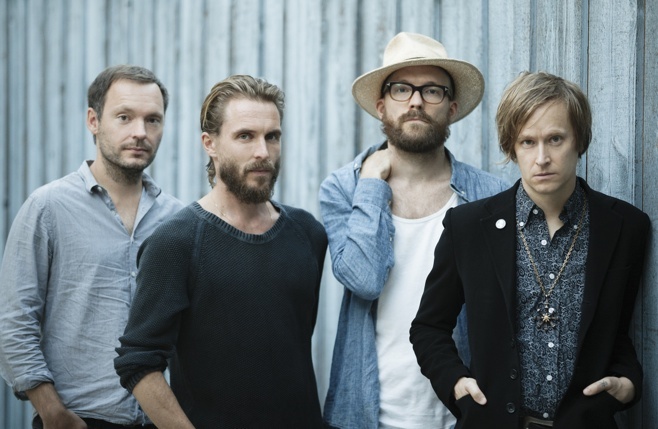 Back from the grave, Refused brought out their first single in 17 years, “Elektra,” leaving many fans jumping for joy. April seems to be the month for bands reemerging. Thank goodness for Spring. 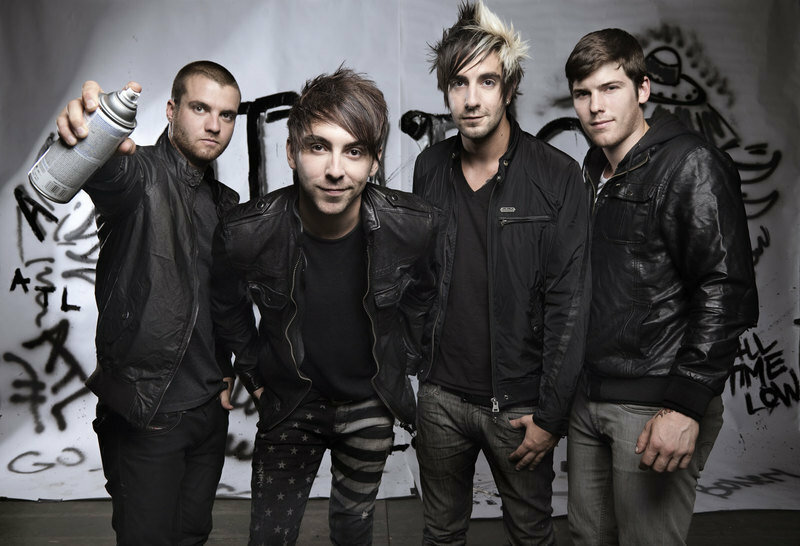 The strikingly different track from All Time Low’s latest album (and UK No. 1), Future Hearts. With alternative rock/indie blends, each line will show you a new side to the band’s already lovable style. Folk duo The Weepies are back with their amazing new album, Sirens, and the title track is a must hear (for life, not just for April). Stunning, angelic vocals, rich instrumentals, and raw beauty encompass this song in every line. The new music video for “Down The Rabbit Hole,” showcases both the band’s musical talents and a dark creativity, with a plot revolving around a murderous villain whose face remains concealed by a creepy bunny mask, and, of course, there’s an awesome plot twist. “Twenty Five” is catchy, perfectly illustrating the emotions of the average “twenty-something.” Lost Element has a nostalgic sound, while also still showing elements of exploratory tones, which only adds to their charm. “Adventurer” is dedicated to Chase Martinez, who plays bass in Redlands, and his wife Brenna Martinez, whom he lost in a motorcycle accident on March 28th of this year. The track is a beautiful addition to the band’s growing discography, and will make you want to hit the repeat button a million times over. A new kind of performance video, featuring cinematics, and of course, a track that bares all emotions without hesitance. Stunning country vocals, a track worthy to be on a road-trip mix, and lovable as hell. There’s really not much more that can be said for this amazing new single. Fans, rejoice! Finally, a new song from Brand New! As of right now, I like it, but I’m not sure whether I’m going to add it to my list of favorites just yet. However, it is repeat-button worthy, and will leave you wanting more. The piano-driven love song utilizes comparisons to slasher films to drive the point home, and the video is no exception. This time, Quentin Tarantino’s style of cinematography plays a heavy hand in brining the love story to life. 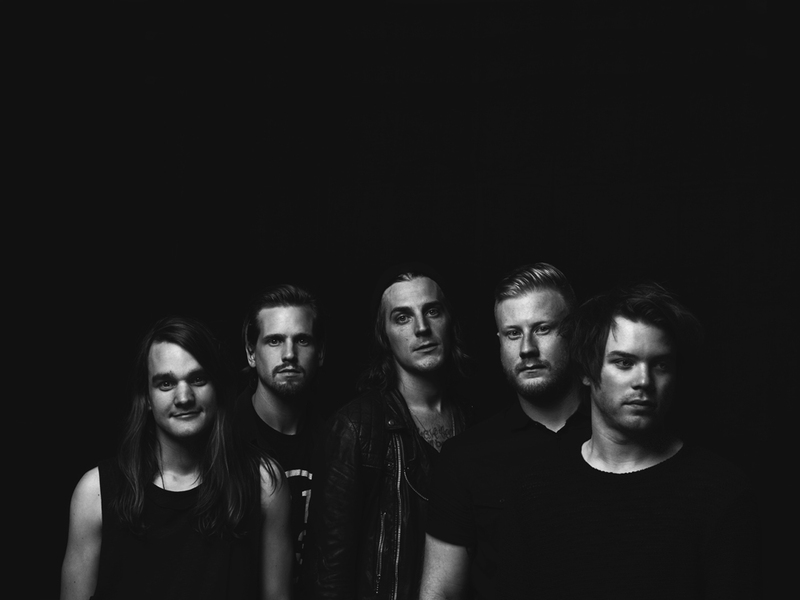 Another extremely catchy track from The Maine’s latest album, American Candy. With fun beats, beachy vibes, and clever lyrics, you don’t want to miss out on this song! Adam Lambert is back with his new single, “Ghost Town,” which perfectly fuses catchy dance beats and indie rock style. Of course, Lambert’s stellar vocals still shine, booming throughout the track. If you’ve ever wondered what it would be like to be an assistant to Fall Out Boy, this video shows you just how crazy it could get. Watch as the band’s “assistant” accompanies the guys on a variety of tasks, from Crossfit to indoor skydiving to crushing a truck, all while rocking out to the catchy single from American Beauty / American Psycho. It’s that time again: 15 tracks you HAVE to hear for February 2015…and the accompanying music videos you have to see. This month, we’ve got love, lust, hatred, and more; nothing the “month of Love” cannot handle, right?